Timber Mesa Outdoors offers the fastest and easiest ways to get into archery. 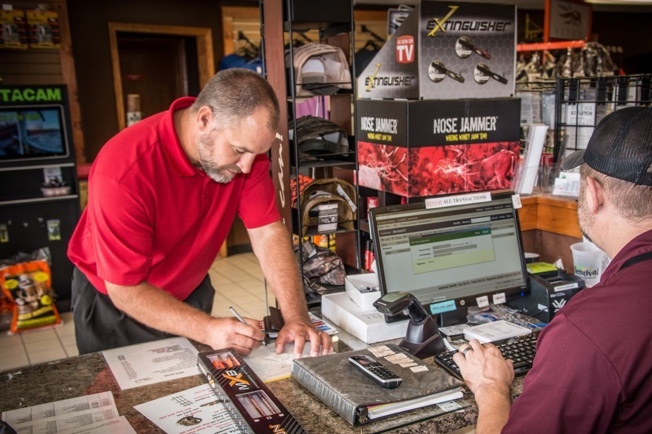 For those that want to start shooting today, but may need time to pay for their equipment, we now offer Free 12 month financing through Synchrony Financial for qualified customers. By offering this new and unique option, customers are now able to make very affordable, low monthly payments with no interest when pay-off is met within 12 months or less. Offer available on approved credit - See store for details. Qualifying sales of $500.00 or more only. No interest offer is applicable only if purchase is paid off within the noted time-frame of 12 months or less. We offer an easy lay-a-way program. Customers can place items on a 60 day lay-a-way program. Half down of the total amount must be paid at time of lay-a-way. Customers are given 60 days to pay off the balance and take their product. It’s that easy! Our financing program is designed to make your next purchase as simple and affordable as possible.